Update: The locomotive fire was fully extinguished by 1 p.m. 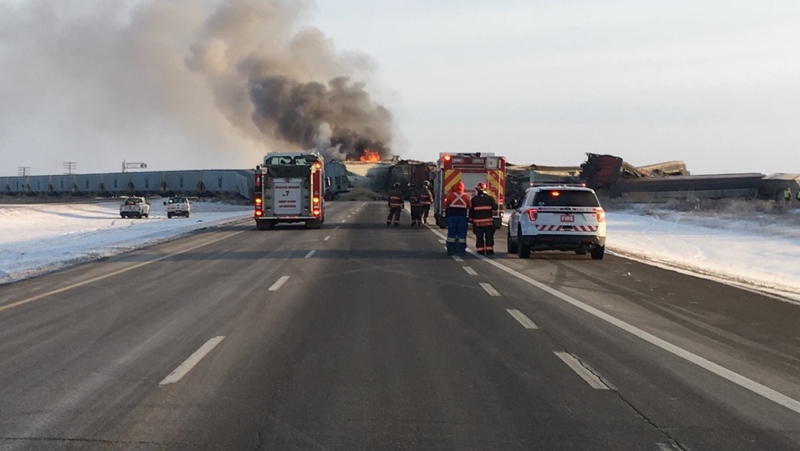 The Saskatoon Fire Department says one lane of Highway 11 southbound has now been opened. Speed and traffic restrictions will remain in place until the scene is cleared. 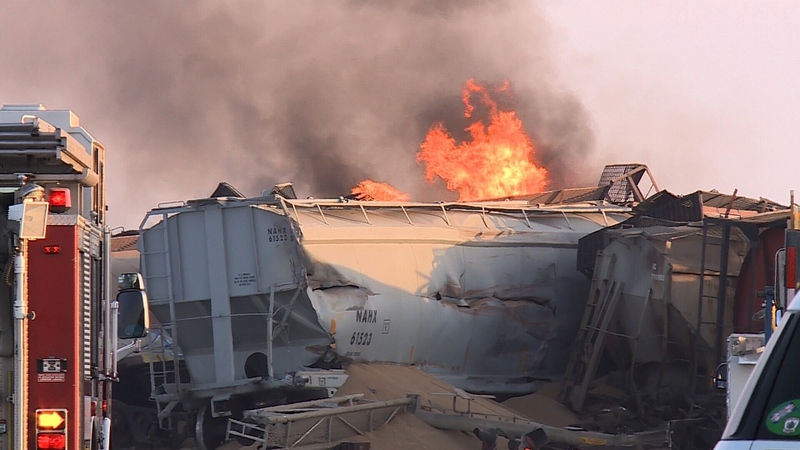 Original story: A train fire near Warman is proving to be a challenge for firefighters. “We have a fire that’s flowing. 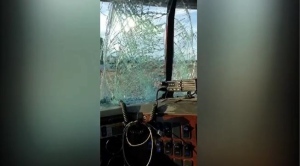 The liquid fuel, the diesel, is actually flowing and igniting at the same time so it provides some additional challenge to control that,” Saskatoon Fire Department Assistant Fire Chief Wayne Roger said. 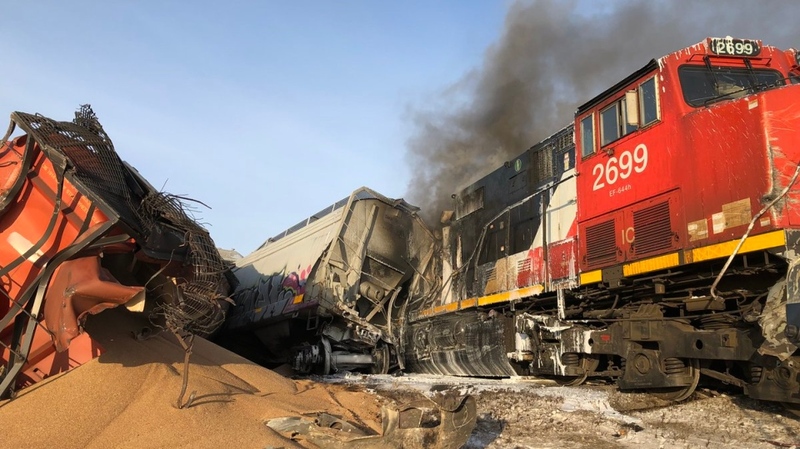 Saskatoon Fire Department was called to the train derailment at Highway 11 and Wanuskewin Road just before 9:30 a.m. Tuesday. The CN train consisted of 52 rail cars carrying grain. Upon arrival, fire crews confirmed one locomotive was leaking diesel fuel and on fire. Thirty rail cars were derailed from the tracks. “It was kicking up some snow and I thought, ‘Gosh, this thing is going to tip. I can’t believe I’m seeing this,’” said Rachel Baird, who saw the crash. No one was hurt and there is no risk to public safety, the fire department said. The highway is closed in both directions and drivers are advised to find alternate routes. CN crews will be able to remove cars once the fire is out.